The Bandworld Legion of Honor was established in 1989 to honor, over the course of a year, eight of the finest band directors in our business. Recipients have taught for at least fifteen years, have maintained a very high quality concert band program, and have contributed significantly to the profession through dedication to bands and band music. Each is honored at the annual Sousa Foundation awards ceremony during the Midwest Band Clinic in Chicago, Illinois. Chairman of the Legion of Honor Committee is Terry Austin,Virginia Commonwealth University. Michael Boitz is the director of instrumental music at Saratoga High School in Saratoga, California. He has held this position since 1998. At Saratoga High he also serves as the department chair. Boitz earned his Bachelor of Music from Concordia College in Moorhead Minnsota, he then went on to Northwestern University in Evanston, Illinois for his Master of Arts in Music Education. 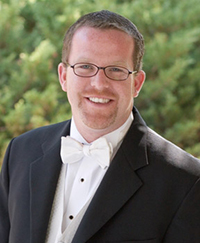 After moving from Minnesota to California Boitz was named the CMEA Bay Area Freitas Award winner in 2005, the CMEA Orchestra Educator of the Year in 2007 and the CMEA Band Educator of the Year in 2012. He has served the profession in many different offices including the the President of the Santa Clara County Band Directors, the CODA Representative to the CBDA, and the Area Rep of the Bay Area to CMEA. His groups continue to receive Unanimous Superior ratings at the CMEA Area and State Festivals. When asked about things that shaped his life he says, "I have been fortunate to have studied with incredible educators from a young age all the way through graduate school. I'm still in contact with my Junior High, High School, College, and Graduate School teachers many years later, consider them mentors, and seek their advice regularly. I can't imagine my life without the role models I have met in our profession, outside of official studies, that shape my teaching and overall career on a daily basis. Most importantly, I work with incredible and inspiring students every day, in a school community filled with colleagues, parents, and community members at large that support Excellence in Education to the highest degree." Leonard Ingrande has been the band director of Central High School in Fresno,California for the last 14 years. Prior to arriving at Central he had served as the Music Specialist for the San Diego UNified School District. He also taught at the middle school, high school and college levels. 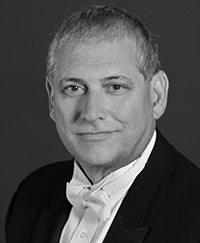 Ingrande earned both his Bachelor of Music Education and his Masters in Conducting from the University of Southern California. He has as President of the Central Section of the CMEA as well as the CMEA Jazz Representative and the CMEA Representative for Stand Up for Music. His groups continually earn Superior and Unanimous Superior Rataings at the CMEA and District Music Festivals. They were also FIrst Place Gold in the Heritage Music Festival in Seattle, WA. Ingrande says, " I have been performing since the age of nine. I have played in concert halls, rock bands, jazz bands, chamber ensembles,I have conducted classical and pop concerts. I believe it shaped me become a better teacher. Since that age, I have had great Mentors and teachers in High School and college who had high standards and expectations, who held me accountable. But, they treated me with respect and patience. I strive everyday to give my students what my mentors, teachers, and peers gave to me." The page you have requested is part of the subscriber area. You can select another page using the navigation above.